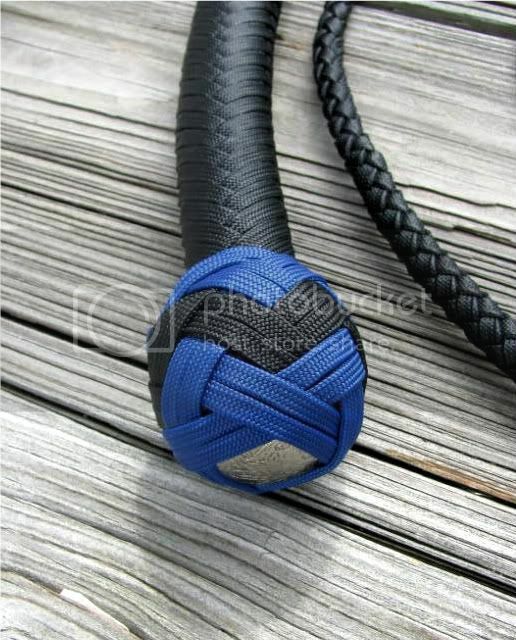 Here’s a picture of a new snakewhip I made recently. It is a 4ft x 16 plait and has 5 part, 4 bight turkshed knot with a black pineapple interweave. Please note that tail of this whip is finished with a fall hitch and not a tapering twist. 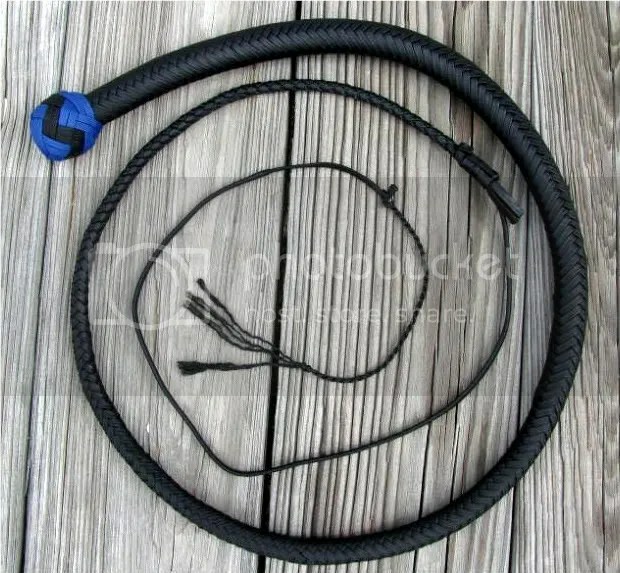 Going forward, this will be Cowwhips.com standard unless someone specifies that they want a twisted tail. Please note also: This is the last 4ft snakewhip I will make. From now on, all the minimum length for my snakewhips will be 5 feet. This entry was posted on Thursday, July 16th, 2009 at 7:15 pm	and posted in nylon whips, Snakewhips, Whips. You can follow any responses to this entry through the RSS 2.0 feed. So how do you finish this type versus the tapered twist in your video? Sorry for the late reply. This whip has a standard fall hitch design and no tapering twist at all.